Breathtaking Setting at the base of Red Mountain! 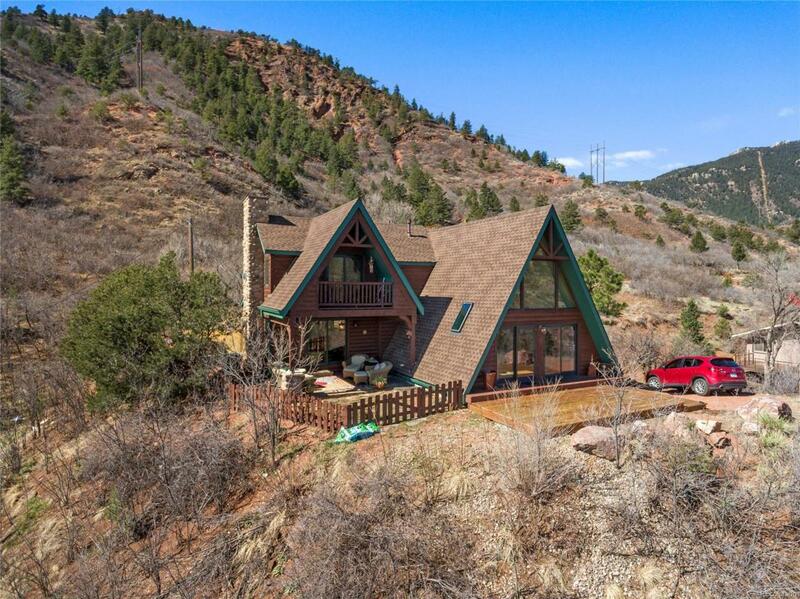 Massive VIEWS include GOG, Manitou Incline! Tastefully updated including oak and Capistrano pine floors on the main level, lots of windows, natural light and Views. This sale will include 3 adjacent vacant lots creating your own oasis of privacy and space. Imagine sitting by a cozy fire and watching the snow fall outside the floor to ceiling windows in the living room or your master bedroom. Enjoy entertaining in the great room area or outside on the decks or patios. Outside, there is a strategically placed Hot Tub to enjoy this dreamy location, and a small detached workshop with 220V service. There is a patio and a deck off of the main level for enjoying the outdoors and a well placed hot tub for super relaxing. Enjoy your coffee while you watch the sunrise! Enjoy shopping, restaurants, and more! Just minutes to the heart of Manitou Springs! You'll want to see this one very soon. This is a rare opportunity!